Mining is an industry that sits at the crossroads of human ingenuity, technological advancement and sheer determination. From the early days of pickaxes to self-driving trucks at modern work site, the mining sector has been incredibly reliant on tools that improve productivity and efficiency. The newest innovation that stands poised to advance the way mining operates, however, is not an advanced piece of technology – it is information. More accurately, it's a lot of information. Big data analytics – the process of extracting useful insights from massive amounts of gathered information – is set to revolutionise the mining industry. Big data and mining go hand in hand, both practically and thematically. In both, useful material must be found and extracted. Another term for analysing large data sets, appropriately, is big data mining. "The major challenge…is how to process, prioritise and act upon this data." However, big data has not taken off in the mining industry to the extent that it could. In a May 23 article, Austmine CEO Christine Gibbs Stewart identified big data as one of the prime cases of a technology not being harnessed to its full potential across the sector. "Every mine site around the world gathers vast quantities of data, in a variety of formats, from driverless trucks, through to manual sampling orebody data, and video imagery from drones or surveyors," Ms. Stewart wrote. "The major challenge for the industry, METS and miners alike, is how to process, prioritise and act upon this data from both an operational and strategic point of view." Of course, this is not to say that the industry is devoid of big data players; there are a number of key innovators working to bring the potential of big data analytics to bear in mining operations around the world. These are just some of the ways that big data is reshaping how mines operate. Perhaps more so than any other industry, mining relies on equipment. As such, the productivity of any particular mine hinges on equipment working at optimal levels without running the risk of costly setbacks. For Australia, this is a particularly important issue. PricewaterhouseCoopers' (PwC) Mining Equipment Productivity Index measures the performance level and efficiency of equipment across a number of markets. Though all markets have dipped significantly in the index since 2003, Australia lags behind Asia and North and South America by a considerable margin – nearly 20 points. The key to mitigating the cost of equipment issues could lie in big data analytics. 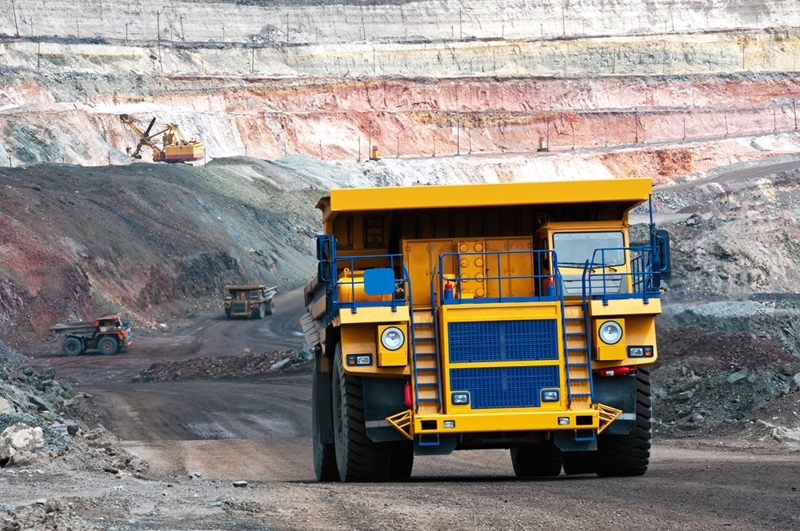 Big data analytics can improve mining equipment repair processes. A joint project between IBM and Thiess, started in 2014, aims to address this issue. Thanks to analysis of data gathered from sensors in vital pieces of equipment, strains and faults in different components can be identified and addressed. These predictive mining equipment repairs prevent smaller problems from escalating into larger issues that put large machines out of commission. Improvements in rail car loading processes are could boost iron ore shipments. Equipment is just one part of the data equation. Insights from big data analytics can help to improve efficiency in processes all across the mining spectrum. Even seemingly innocuous tasks like loading resources into rail cars can be improved. One such initiative is at the heart of a plan by Rio Tinto Iron Ore. Thanks to a method of gathering information on the amount of ore loaded into a car in real time, the company expects to increase the amount of ore shipped from mines in Pilbara by 3 million tonnes each year. Big data analytics is just one of the many technologies that stand ready to benefit the mining sector. Reach out to SRO Technology today to learn more about the newest innovations in the industry.